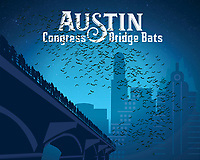 The Congress Avenue Bridge or Ann W. Richards congress avenue bridgespans Town Lake in downtown Austin and is home to the largest urban bat colony in North America. 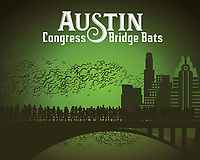 The colony is estimated at 1.5 million Mexican free-tail bats. 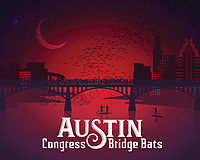 Each night from mid-March to November, the bats emerge from under the bridge at dusk to blanket the sky as they head out to forage for food. This event has become one of the most spectacular and unusual tourist attractions in Texas. 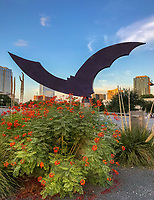 The most spectacular bat flights are during hot, dry August nights, when multiple columns of bats emerge.